Aircall’s Computer Telephony Integration (CTI) for Salesforce Lightning & Salesforce Classic empowers your support agents, sales reps, and entire team to streamline their workflows and increase productivity. Make outbound dials and receive inbound calls without ever switching screens, thanks to our natively integrated phone app. Save call recordings to any Salesforce object and automatically track each caller’s history. Manage all your customer communications in one place with our Salesforce Omnnichannel integration. 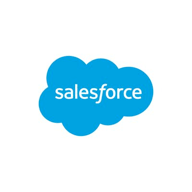 Utilize our iPhone and Android mobile applications to keep Salesforce data up to date, no matter where you or your team are working. Easily manage data across all Salesforce Objects, including leads, contacts, accounts, cases, tasks, and activities. Gain deeper insights out of every call and across your team activities by linking Aircall data to your Salesforce dashboards or by using our pre-built reports. Utilize call tagging and custom fields to customize your team's reporting to your specific business. Skip the busywork and let Aircall automatically sync call data and trigger your next workflow steps. Increase productivity with Aircall’s Click-to-Dial capabilities, directly within Salesforce. Automatically route calls to the right person and in real time through our deep integration with Salesforce Omnichannel. Create cases for missed calls and voicemails to assure agents can deliver timely responses and keep customers happy. Best product I've seen so far. I have been trying a lot of other call center softwares and it's by far the best. It does what it promises (easy setup, great call quality, excellent customer service) at a very low cost." Most importantly for me, the Salesforce integration allowed us to give agents access to key communication channels from one central hub without compromising on enterprise call center functionality."